PEOPLE come into the shop and do good work, both for the clients they engage and for the shop as a whole. While some of these artists may be traveling through or otherwise working out of the shop for a limited time, they remain people we would like to support! Sage is a wonderful tattoo artist whose work is clean, subtle, and bold. She loves pushing toward the finer stuff, creating incredibly clean and thin patterns, while she can pack sections better than most. Grant primarily goes for big and bold work, inspired by what we now call “traditional” tattoo aesthetics. He also works with clients such that he ends up producing work reflective of his client’s good taste, doing floral patterns, watercolor work, and much more. 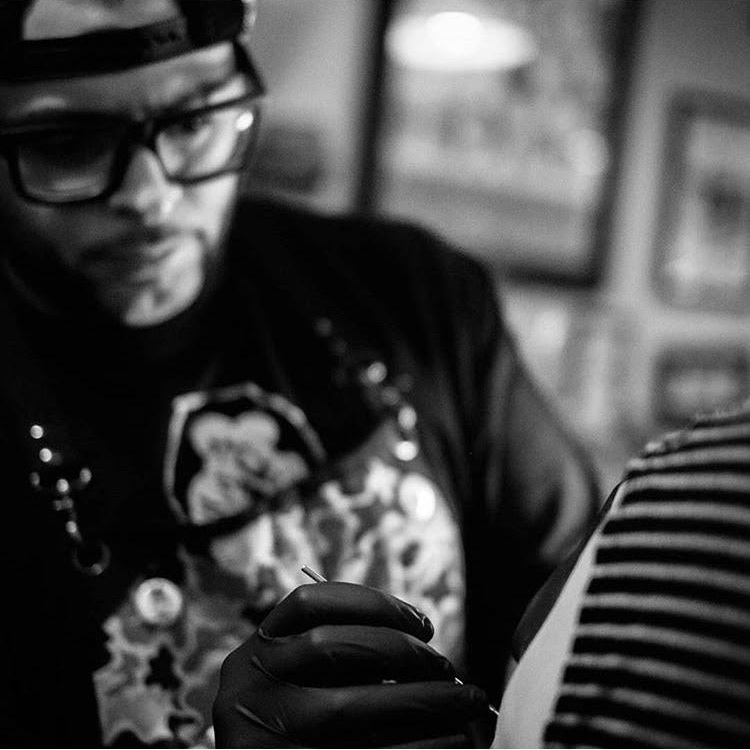 We gladly make appointments for larger custom pieces and happily take walk-ins for the simpler ones. You can come for a consultation between 11am-12pm each day.